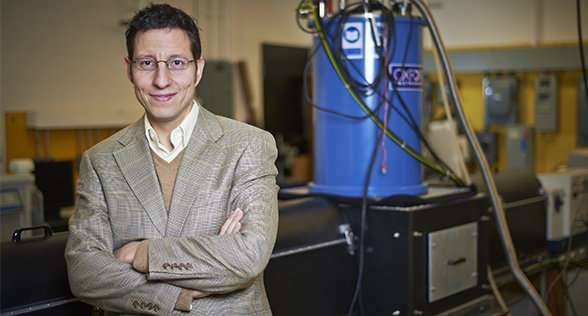 "Simply put, there's a physical limit to the performance of conventional semiconductors as well as how dense you can build a chip," said Pavle Radovanovic, a professor of chemistry and a member of the Waterloo Institute for Nanotechnology. "In order to continue improving chip performance, you would either need to change the material transistors are made of—from silicon, say to carbon nanotubes or graphene—or change how our current materials store and process information." Experts have, however, been warning that we'll soon reach the end of the trend known as Moore's Law, in which the number of transistors per square inch on integrated circuits double every year. Seriously. Can we get ONE article, just a single article, that gets it right? No wonder people believe in technological singularities - the media keeps inventing these completely imaginary "Moore's laws" and pushing the myth that they are/were actually happening.